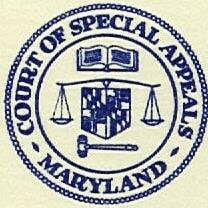 From 1805 to 1966, Maryland Court of Appeals, Maryland’s highest court, was the only appellate court. In 1966, the Court of Special Appeals was created to ease the caseload of the Court of Appeals and to facilitate resolution of cases requiring appellate adjudication. The Court of Special Appeals sits in Annapolis, one floor below the Court of Appeals. The Court's opinions are published officially in Maryland Appellate Reports and unofficially in West's Atlantic Reporter. The CSA has exclusive initial appellate jurisdiction over judgments, decrees, and orders from the circuit or orphans' courts. Unlike the state's top court, which handpicks the cases it will hear, the Court of Special Appeals decides every case that comes up from the circuit courts. An appeal to the Court of Special Appeals is an appeal of right to any party unhappy with the rulings made by the trial court. Unlike circuit court judges who run in contested elections after they are appointed, judges on the Court of Special Appeals run in “retention elections.” Voters can check either yes or no. If the judge gets more than 50% of the vote, he/she is “reelected.” A constitutional amendment created the system in the mid-1970s, replacing the disaster of contested appellate court elections. No Maryland appellate judge has ever lost an election, but there have been hotly contested appellate confirmations in other jurisdictions. In 1986, voters voted out three California Supreme Court justices after an organized campaign to target those judges because of rulings they made from the bench. In 1996, Tennessee voters voted out one of their state supreme court justices. This is unlikely to happen in Maryland. Sure, everything is political, but our judiciary seems a lot less political than most. To its credit, the Maryland Court of Special Appeals has been a pioneer in alternative dispute resolution to resolve claims pending before it. The Center for Dispute Resolution at the University of Maryland Law School found that the court's mediation program is already among the top 10 programs nationally and has a higher-than-average settlement rate (however that is defined). This is a pretty amazing thing. If a case is pending before an appellate court, you would think the parties would be pretty much in cement. But the court clearly understands that a verdict is a reset button for potential settlement discussions. One judge is elected from each of the seven appellate judicial circuits. The remaining six judges are selected at large from the entire state.